Growth marketing seems to be the buzzword of the year. But, is it more than just a buzzword? Can growth marketing actually help your business grow like never before? Let’s find out! However, one thing is for sure, without growth, in some shape or form, your business will eventually die. A consistent and more importantly, sustainable growth over a long period of time is what makes every business a success. Marketing plays a critical part in a company’s pursuit of growth. The efforts of marketing help bring more eyes towards the company to put it on the path to growth. However, growth doesn’t happen overnight. There’s no “quick hack” or “viral formula” that marketing whips out and BAM! your company grows 10x. Even if by chance it does, it’s certain that it won’t sustain that growth over a long period of time. The only way a business can achieve true growth is by using marketing tactics, backed up by strategy and data. This is where growth marketing comes in. Growth marketing is not just a buzzword. How do you think a company like Instagram, was bought after 2 years in business? It got acquired by the largest social network on the planet (ahem…Facebook) for a whopping $1 billion. Or how about 6-year old Tinder that sees over a billion swipes per day? Growth marketing is not a passing fad. It’s not a “what’s new” in marketing. Growth marketing is a serious strategy that’s changing the way up-and-coming startups are revolutionizing what growth means to a company and how it can be put to use effectively. Without further ado, let’s jump straight to the basics of growth marketing. We’ll dive into what is really means, and how you too can implement growth marketing strategies to your business. Before we discuss what growth marketing really is, we need to understand the origins of this obsession with hyperactive growth and the story that lead to job roles like “growth marketer” or “growth hacker”. The term “growth hacker” was coined by serial entrepreneur and a growth hacker himself, Sean Ellis in 2010. Sean has worked on startups like Dropbox, LogMeIn, and Eventbrite and helped them skyrocket their growth. Sean eventually became “The Person” startups went to when they needed to grow their user base. He would take equity and payment for his services and leave the startup after he had set up a sustainable growth model. However, that’s when the problem started. He started looking for people to take his position in the startups he worked at and often found resumes of marketers in his inbox. Sean was not looking for a traditional marketer; he needed someone who would do anything to increase the growth of a startup. Someone who used unconventional tactics and strategies. They needed to have the ability to understand data and algorithms to sustain the growth of the startups he helped. Sean knew that the kind of strategies he had developed did not conform to the usual playbook used by traditional marketers, and he if hired a marketer, he would not be a good fit for the startup. This frustration led to him releasing a blog post and created a new job role, one of a growth hacker. Growth marketing or growth hacking focuses on maximizing the lifetime value of a customer at all stages of the sales funnel while minimizing the cost and time it takes to do so. This means experimenting not only at the top of the funnel to acquire new customers, but also laying down tactics and strategies to continue experiments down the funnel to increase retention. 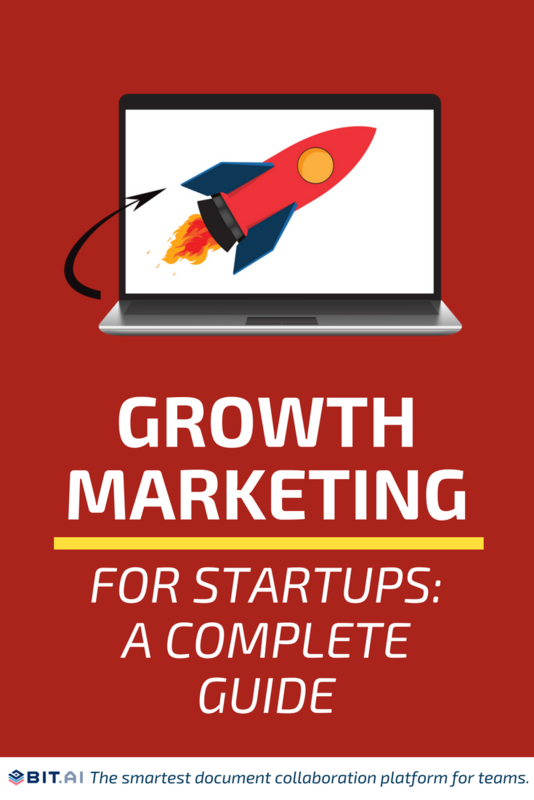 Many people think of growth marketing or growth hacking as a one-off. A silver bullet that will make all their problems go away and increase their growth exponentially. You must have come across articles like “Top 5 growth hacks to skyrocket your success”. What people don’t realize is that nobody ever built a company based on these listicles. These so-called “tricks” and “hacks” are carefully carried out across data-driven experiments, which after many iterations, lead the company to develop a framework for success. How’s it Different than Traditional Marketing? Traditional marketing involves companies focusing all their marketing efforts on the top of the funnel. A staggering 88% of marketers currently use content marketing to attract new customers and drive them down the sales pipeline. The main goal of marketing is to generate new leads at the top and push them down for conversion. This is why over 85% of marketers state that lead generation is the most important goal of their marketing efforts. However, this leads to a whole lot of missed opportunities regarding nurturing customers and building meaningful relationships. Apart from the acquisition, the entire sales funnel isn’t leveraged for growth. While traditional marketing focuses on the top of the marketing funnel, which often means the strategies to acquire new customers, growth marketing also focuses on retaining these customers and taking customer engagement to a whole new level. Why is Growth Marketing important? Growth marketing focuses on the total lifetime value of the customer, using strategies to improve not only customer acquisition but also the number and frequency of purchases in the future. What’s the point you ask? Consider the fact that existing customers are more likely to try new products and spend 31% more when they make a purchase when compared to new customers. When a customer already knows and trusts you, it’s easier to upsell them to convince new prospects and start the acquisition process all over again. What’s even more exciting is the fact that increasing customer retention rates by just 5% can improve profits by up to 95%. Thus, it’s clear. If you want massive growth, your business should focus on the entire funnel and not get too hung up at the top. A growth marketer needs to continually experiment with unconventional growth strategies, measure the effectiveness of those strategies and refine those strategies for an even better future result. Growth marketers test each piece of the product-marketing funnel, experimenting and intelligently optimizing website landing pages, online ads, email copy product page toward the pursuit of growth. That is a pretty obvious one, but often doesn’t get approached the right way. Start getting feedback as soon as you are done with the first version and ask your customers whether they like where things are going. Involving customers in the product development phase is a good way to ensure their trust and support. As soon as you have an idea, don’t hide in your basement and come out when it’s fully developed. Throw it out in the shade and get as much feedback as you can from the get-go. Talk to your friends, family, and relatives. Get their feedback on the product and ask them whether it’s something they would pay for. Once you get the green signal, don’t wait up for your product to be perfect before you reveal it to the world. Growth marketing is a data-driven marketing approach. It makes use of modern-day software and tools to analyze different distribution channels and go all-in on those that perform best. According to growth hacker Sean Ellis, growth is all about high-velocity, high-tempo testing. This type of testing involves quick deployment of your best ideas, generate data points and meaningful insights, and determine what works and what doesn’t, all in the hopes of formulating a process that can be repeated for success. Its advisable to start at the top. The first thing you need to optimize and experiment with is your landing page. When a customer decides to come to your homepage, he/she expects a user-friendly experience that is easy to navigate and drives them to stay and click on your call-to-action button. For starters, you can optimize your website speed for a faster load time. Even a 1-second delay in page response can result in a 7% reduction in conversions. In a world of constant notifications, nobody has time for a slow loading website. Secondly, you must have a clean and intuitive landing page. Your homepage should include a small description of your value proposition and a clear call to action. As previously explained, growth marketers, unlike traditional marketers, focus on the entire funnel to increase engagement and retention. From your landing page, you can move onto various elements of your website, your content strategy, or your monetization structure to improve virality. This will allow you to break even on your customer acquisition cost quickly. Social media is an obvious channel to skyrocket your growth efforts and leverage word-of-mouth marketing. Posting content around your product on social media and having it shared on a large scale is the key to growth. The steps that a user goes through between entering and inviting more users to the site is called a “viral loop.” Each customer gets one (or more) more people to also become a customer. This viral loop is responsible for rapid growth rate and is one of the prominent tactics in growth marketing. Growth marketing isn’t about one-off tactics or quick hacks. Growth marketing involves testing and experimenting with new ideas and strategies, executing them quickly, and measuring the result. It’s about going beyond traditional marketing strategies and focus on the entire customer journey to find a repeatable process to increase customer lifetime value. The only way you can successfully hack growth and more importantly, sustain it, is by being bold, experimental, and data-driven in your strategies and building long-term relationships with your customer’s throughout the sales funnel. Have you ever used any unconventional methods to gain and retain customers? What are your thoughts on growth marketing and its power to affect a company’s bottom line? Let us know in the comments below!